Are you deluged by email notifications from Pinterest since you joined their Group Boards? You can turn off these notifications but this is not that obvious so here is the tutorial. Note that there is only one button for both functions, like a two-way switch! When it is off, the button is grey, when on it is red - this could be a little counter-intuitive for some people, hence the (short) video. 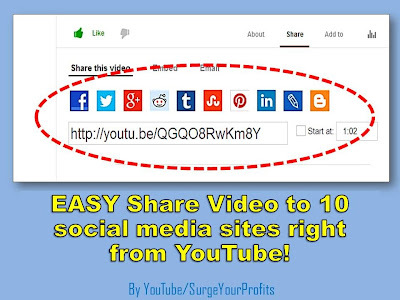 It's easy to do since YouTube increased its sharing options recently so make the most of it.